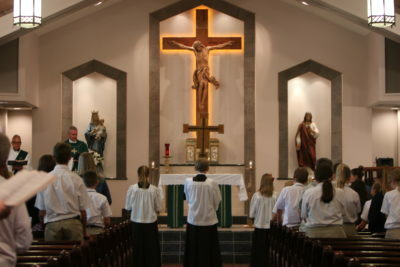 Tuition rates are charged based on parishioner status. Families receiving the lower rate must be “active parishioners” as defined in the Active Parishioner Policy. Please refer to the parish website to view the policy. Make ten monthly payments by electronic fund transfer through Commonwealth Bank & Trust. The payments begin in August and end in May. If this option is chosen, you will have the choice of making your payments on the 5th, 15th or 25th of the month. A copy of a voided check must be attached to your completed Tuition Payment Authorization Form. The form must be submitted to the parish office by July 15, 2018. Forms received after July 15th may result in a higher monthly payment since your tuition will then be paid over a 9-month period. The Tuition Payment Authorization Form may be downloaded from the school website www.mqhschool.com or picked up in the parish office. Financial aid is made available to active parishioners at Mary, Queen of Heaven Parish through the funds raised from the Knights of the Round Table fundraiser. This major fundraiser for our school not only provides financial aid dollars, it also helps bridge the gap between the tuition charged and the actual cost to educate a child. Beginning in the 2018-19 school year, financial aid requests are processed for us by FACTS. FACTS leads the industry in financial need analysis services by providing the most accurate and just assessment of student need, without losing focus of each family’s unique financial situation. The result is a partnership between Mary, Queen of Heaven Parish and our parish families that makes sense for everyone. Requests are made online from the link on the school website. Financial aid is available for students in kindergarten through eighth grade. The due date for filing a financial aid form is April 15, 2019. There is a processing fee for applying. Generally, a one year waiting period is required before new parishioners may receive financial aid. This allows time to establish active parishioner status. Note: There is no waiting period for new parishioners to take advantage of the active parishioner tuition rates; however, this privilege may be revoked if a new parishioner fails to become an active parishioner as defined in the Active Parishioner Policy. Financial Aid Forms must be downloaded from the school web-site at www.mqhschool.com. IMPORTANT – You must either mail or upload a copy of all supporting documentation including a completed tax return to FACTS. 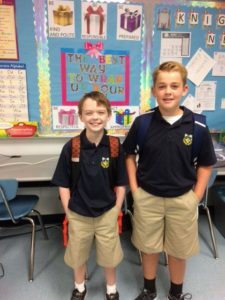 If you are applying for financial aid at Mary, Queen of Heaven School and at another diocesan school that utilizes the services of FACTS, you only need to file one form. FACTS will process one form for both schools. Please keep in mind that the application due date at Mary, Queen of Heaven is April 15th. This may not be the same as your other school since each school establishes its own due date. The Pastor will review the reports provided by FACTS and will make the final determination concerning financial aid awards. Your status as an active parishioner will be considered when determining your financial aid award. Our school has so much to offer and no one knows that better than the 150 families who send their children to our school. They are our best ambassadors and to thank them for helping us promote our school we’ve instituted the Rewarding Referrals Program. We offer a $100 tuition discount to any current family who refers another family to our school. A referring family is limited to three discounts. The referred family must register and attend MQH school. The referred family must identify on the registration form the family who referred them. The discount is per family, not per student. The discount may not be split between multiple families. Financial aid is distributed on a first come, first serve basis. Please file before the due date of April 15th and provide the required documentation on a timely basis.